Can Virtuix please comment on the Omni boom 'hook' design for our VR headset? Can Virtuix please comment on the Omni boom 'hook' where the Oculus Rift is meant to be hung? My understanding is that the Oculus Rift or Vive should be hung with the straps under the display. This is because if you otherwise hang the unit from the straps, it will put consistent resistance against the head mounting tension system. This being said, if you use the hook which seems to come with the boom, as shown in the product image, this could trigger the display sensor and leave the Oculus Rift turned on. 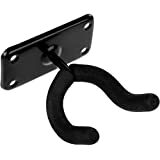 Instead, it would seem that this hook should be more of a double hook, sort of like a guitar hook, as shown below. thoughts? Do you also drape something over the hmd to avoid any dust , sunlight, or particles getting on the lenses? 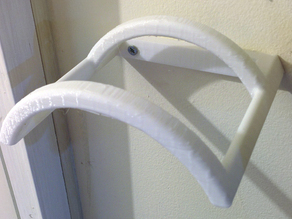 I hang mine by the headstrap as well (VIVE). I do have a black velvet piece of fabric that I put over the face mask area of the headset. Thanks Guys!. Can't wait to get my Omni! 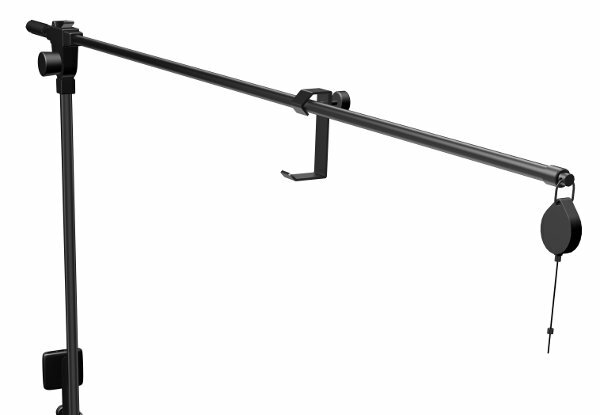 Does anyone know where you can get more of the HMD hooks used for on the OMNI boom? I need four of them. Closest things I could fing. , But I was hoping to get more of the exact same one that ships with the virtuix Boom.